When I was living in the Swansea Valley, one of my favourite walks was the 3 mile length of Rhossili Beach, on the Gower Coast. The remains of the shipwreck are often submerged by water, but when the tide is out they are a reminder of the dangers that often occurred during the days when wooden ships sailed the seas. The Gower Coast, just a few miles outside of Swansea, is a very popular tourist area, and I’m sure some of my readers will have visited it. I have never heard the full story of the shipwreck so when I found this article on Wales Online, I thought you may like to read it too! 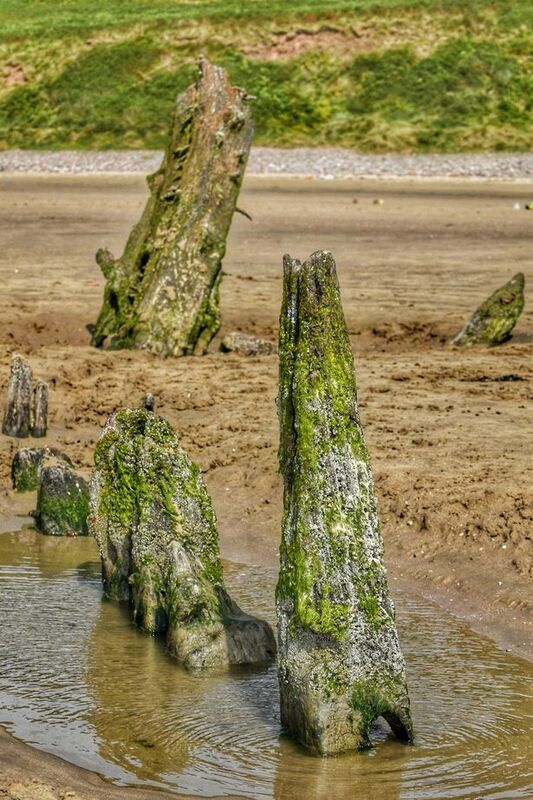 Almost completely submerged in the heavy wet sand, the rotting timbers of the Helvetia shipwreck rise out of a Gower beach like ribs from an unknown animal. Helvetia was once a proud ship: her sails billowing as she scudded across the Atlantic Ocean and her deck a hubbub of activity as sailors shouted to each other in the winds. Now all that remains is a carcass, visible only at low tide, as the ever-hungry sea tries to reclaim her timbers to the deep blue. 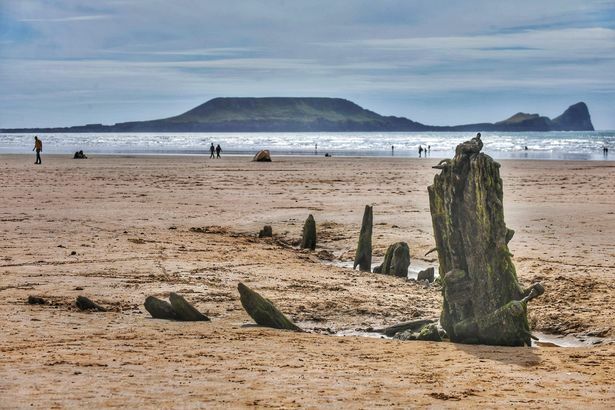 The remains of the Helvetia, a Norwegian oak barque, have become a landmark of Rhossili, attracting photographers from all over keen to catch a glimpse of the relic from a bygone era. Standing high on the cliffs looking down on the bay, the shipwreck is the only thing that punctuates the golden sands, which stretch for three miles into the distance. But what is her story, and how did a ship, originally from Horten in Norway, come to rest on Welsh sand? On a stormy evening on October 31, in 1887, the Helvetia arrived off the coast at Mumbles. Captained by a man named Stevenson, she had sailed from Cambeltown, New Brunswick on the east coast of Canada, loaded with 500 tonnes of timber and bound for Swansea Harbour. According to the late Ron Tovey, in his “Chronology of Bristol Channel shipwrecks”, the crew were five miles from her final destination, where Stevenson ordered for “signals to be burnt” to guide them into the harbour. But a “fresh breeze” sprang up from the South East, forcing the crew to stay where they were for that night. By the next morning, the winds had grown stronger, blowing the oak-constructed barque of the Helvetia down the Bristol Channel. Disaster struck as she hit the dangerous sandbank of Helwick Sands, a good 10 miles away from the harbour. With the next turbulent swell, she escaped the shallow waters, but was swept around Worm’s Head and into Rhossili Bay. 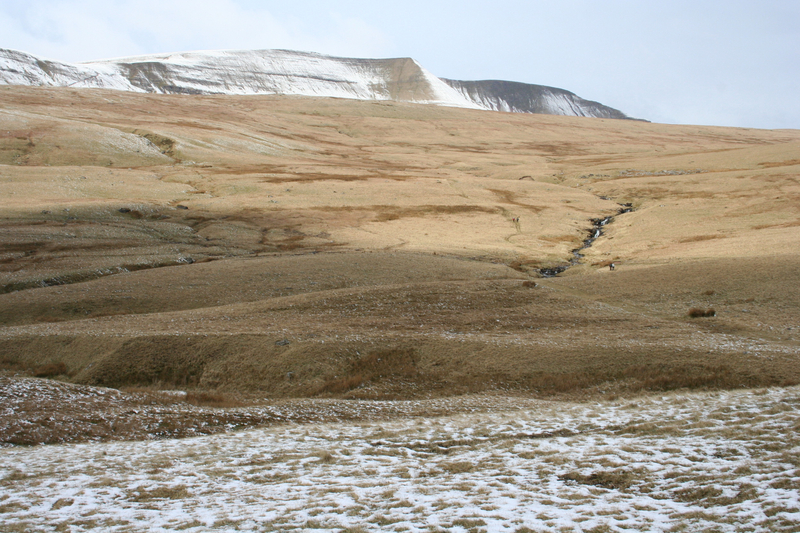 Stephenson took the decision to drop anchor here and was taken ashore by the coastguard. He refused to abandon his ship altogether, fearing looters might try to strip her of her cargo. He ordered his crew to stay aboard the barque for the night. But by nightfall, as the incessant wind reached galeforce, the Helvetia could not be stayed and her anchor was ripped free from the sand. As she strayed perilously close to the expansive sands of Rhossili beach, the decision was reluctantly made to abandon the ship. The next morning, when Stephenson and his crew returned to the beach, they discovered the tortured wreck of their ship. She had come to rest upon the sands, the remains of her wooden cargo scattered all around her on the beach. During the following weeks, the timber was collected from the beach and gathered for auction sale. South Wales timber merchants bought it at a bargain price, planning to take it off Rhossili by ship in the summer months. The wreck was sold cheaply to a local man, who intended to strip the precious copper keel from the vessel. But before he got the chance, the Helvetia had already sunk into the sand. Local rumour suggests he had to settle for salvaging the ship’s deckboards, which he used for the floor in his kitchen. Anna Stevens, who lives in Llangennith and works at the King’s Head Hotel, has collected a whole file of information on the Helvetia. “I started to research the history of the King’s Head, and that’s when I came across the stories about the Helvetia shipwreck,” she said. 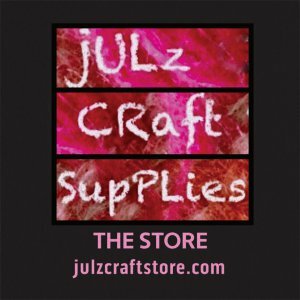 “I have never heard about whether wood from the Helvetia did ever end up in the local buildings. 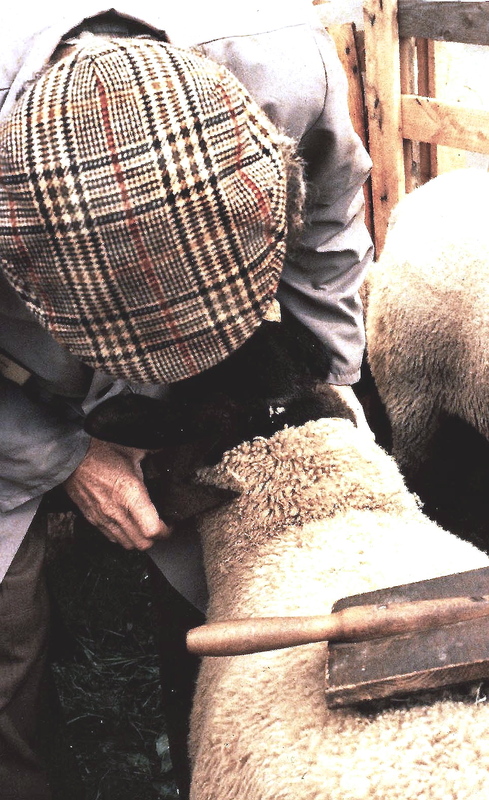 I don’t know if that is merely rumour or local hearsay. 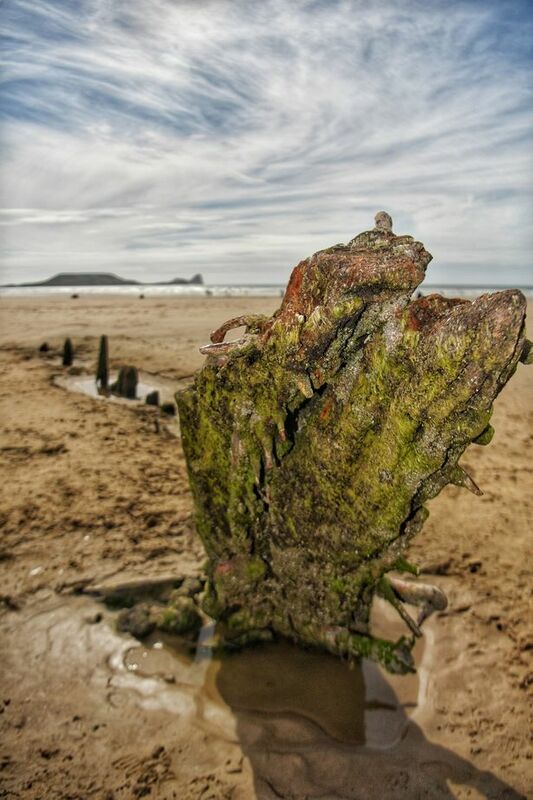 Unceremoniously stripped of anything that had any value, the Helvetia has lain on Rhossili ever since. In the springtime after the disaster, a steamboat from Llanelli called The Cambria was used to retrieve the timber. A big ocean swell, combined with low tides, almost caused the boat to capsize. Only escaping certain wreckage with help from the coastguard, The Cambria lost her anchor which was dragged back over the sands to the corner of the bay at low tide. Returning some months later to retrieve the lost anchor, The Cambria’s master, John Hopkins, sent a boat ashore with some day-tripping landlubbers. After spending the day at ‘The Ship Inn’, they finally retrieved the anchor. Unfortunately, the weight of it, accompanied by the weight of the six rescuers, proved too much for the boat. It capsized and all six men were thrown into the ocean. Only one of the men made it to the shore alive. 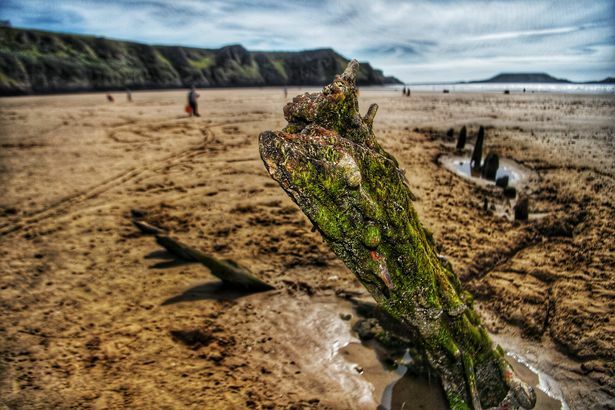 The shifting sands and relentless tides on Rhossili Beach still do their utmost to reclaim The Helvetia. One day, she won’t be there. But as long as her prow continues to rise high and proud out of the sand, she will always attract photographers from far and wide.